April 12, 2016 /0 Comments/in Birth Injury /by Reiter & Walsh, P.C. 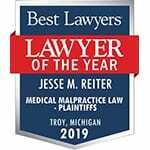 As a birth injury law firm, Reiter & Walsh ABC Law Centers seeks to support organizations that assist families impacted by birth injuries such as hypoxic ischemic encephalopathy (HIE). To mark HIE Awareness Month, we would like to spread the word about Hope for HIE, a notable HIE support group working to extend its reach worldwide. An HIE diagnosis can be overwhelming and full of uncertainty about what to expect. Hope for HIE’s discussion forums connect the parents of children who have been diagnosed with HIE, allowing them to share their experiences and concerns. Request to join their closed forum on Facebook to speak to family members and gain new perspectives on how an HIE diagnosis can impact families and children. One of the most effective ways to spread the word about HIE is to start conversations within your own communities. Let people know your dedication to the cause by buying one of the group’s shirts and funding their outreach efforts. Their eventual goal is fundraise for research into HIE treatment and prevention; we hope to accelerate their efforts in ensuring that all families have optimal care for their child’s injury by spreading word of their efforts throughout our social media networks. We urge those impacted by HIE to volunteer, helping the organization grow in the U.S., Australia, Canada, and the UK! Check out the Hope for HIE Resource blog for resources on the diagnosis, as well as organizations you can turn to for help. If you are seeking medical background information, please check our website. As always, remember that you are not alone in handling your child’s HIE diagnosis. 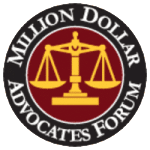 There is a worldwide community of families with whom who can share your experiences, as well as legal help should you seek recompense for your child’s medical care. Finding resources for care and support can be difficult – but together, we can make it less daunting.